All Natural Calcium. No Bones About It. 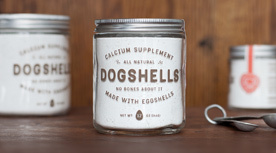 Dogshells is an all natural calcium supplement for dogs. who share our vision of holistic, earth-conscious living.